LITHIUM FLUORIDE LiF windows and lenses, LiF optics. 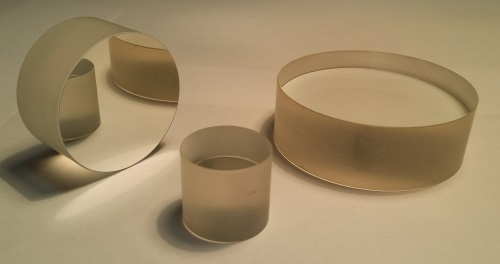 Alkor Technologies supply a range of quality Lithium Fluoride optical components including Lithium Fluoride windows, Lithium Fluoride lenses, Lithium Fluoride wedges, and Lithium Fluoride blanks either from stock or custom made to your specification for a range of applications. Please contact Sales Team for more information. Lithium Fluoride is used for windows, lenses and prisms in the Vacuum UV, UV, visible and infrared where transmission in the range 0.104µm to 7µm is desired. Transmission is about 40% at 121nm, this is one of the most popular material for deep UV spectrum. Modest precautions should be taken against moisture and high energy radiation damage. LiF is attacked by atmospheric moisture at 400C, and softens at 600C. LiF is sensitive to thermal shock. Irradiation produces color centers. The material can be cleaved along (100) and less commonly (110). Although the optical characteristics are good the structure is not perfect and cleavage is difficult. VUV grade LiF windows are available. This is the best VUV transmitter available.